We welcome local Boca Raton businesses and real estate professionals to share their knowledge and expertise with our blog readers about all things related to home improvement and living green. Are you a home improvement service company located in Palm Beach county and looking to expand your audience? We would love to hear from you! The purpose of our blog is to provide useful and relevant information to homeowners in the Boca Raton and Palm Beach county areas. As such, we discourage any blatant advertisements and instead encourage topics that would be helpful to homeowners looking for a particular service. All articles should be unique and pass Copyscape anti-plagiarism verification. Any articles that we receive that have been duplicated elsewhere on the web will be rejected. Sorry, no exceptions! We also request a minimum of 450 words per article, in addition to two relevant images or a helpful video. We create an Author profile for each contributor with a backlink to your site and a description of your company and/or services. We also allow two relevant backlinks at the end of each post you provide. These contextual should give a helpful boost to your SEO and online marketing efforts that is white hat and Google-friendly. In the comments below, give a brief introduction about you and/or your company. Feel free to be as descriptive as you like, we love learning about our neighbors and community members! 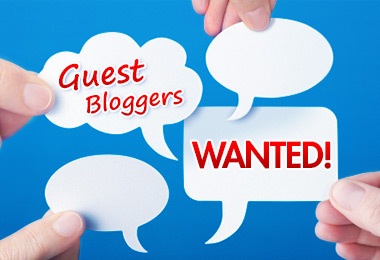 Also, please give us a heads up on what you would like to discuss in your guest post. Thanks for considering our Boca Raton AC repair blog, fellow guest posters. We look forward to hearing from you.